At this year’s upcoming Worldwide Developers Conference, Apple is set to unveil iOS 12. With each major release, we see a number of new features added to the operating system, but it appears that the major iOS 12 features may not be available this year. Recent rumors suggest that the major iOS 12 features will be delayed until 2019 due to the fact that Apple is focusing on prioritizing performance as well as reliability improvements. Aviox has mentioned that the Apple Senior Vice President Craig Federighi has told their software division that they should delay their current projects, instead urging them to focus on the performance and reliability mentioned above. Reports have mentioned that iOS 12 features such as a complete overhaul of the Home screen have been delayed until next year to allow the smartphone giant to focus on bug fixes and making their mobile operating system a more cohesive and smooth experience overall. Reports say that other iOS 12 features that may be delayed until 2018 include a new CarPlay update, new photo sharing and editing enhancements, and a revamp of the Mail app. 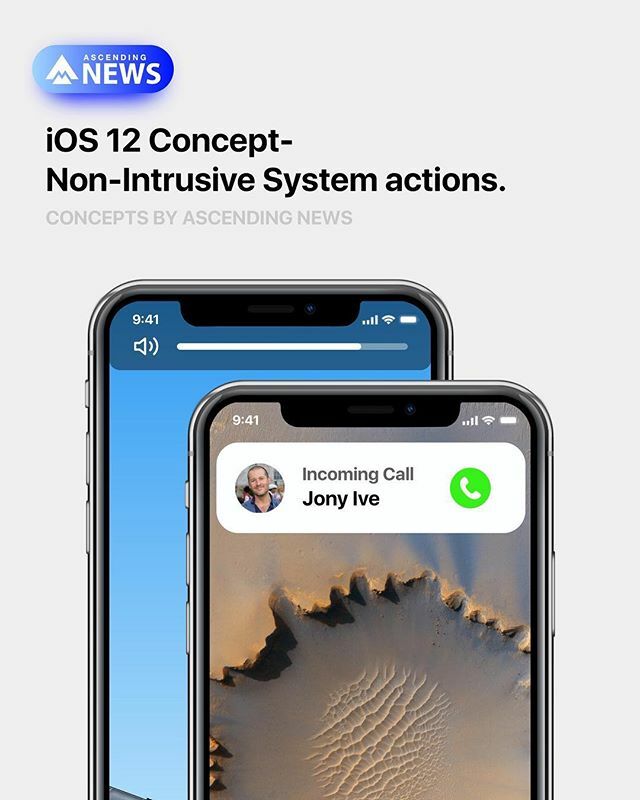 The iOS 12 features that will be included at launch include enhancements to aspects like augmented reality and parental control, which is an expected direction due to the criticisms from the public regarding issues with the operating system’s security. Ubergizmo reports that other team members are not convinced that the advent of iOS 12 will actually provide any significant stability updates, which calls into question what the purpose of this new operating system will actually be. With iOS 11 introducing some major new features to the Apple ecosystem, having a major release focus on bug fixes and stability fixes seems a little underwhelming. While having a phone that operates smoothly and with few issues is definitely a priority for most people, these updates seem like they would be more of an 11.x update rather than a numbered update that implies we’d be seeing a bevy of iOS 12 features. Apple has not yet commented on these rumors, neither confirming or denying the delay of iOS 12 features. While Apple has seen great success this generation with the release of the iPhone X, they still have dealt with a good amount of public backlash due to some controversy regarding their lack of transparency. After a number of emergency security patches in order to address vulnerabilities, the Apple update schedule got off track – to the point that Apple skipped several anticipated updates to jump to 11.2.5. They’re also set to include a majorly anticipated feature with iOS 11.3, specifically to address their lack of transparency regarding “batterygate,” or, the artificial slowing of iPhones. After the release of each new update for the past several generations of phones, web searches for some variant of “slow iPhone” have spiked. For quite some time, a good number of customers have suspected that Apple was throttling their phone’s performance – and just recently, Apple has come out with a statement that they are, indeed, slowing down older iPhones. The company has insisted that the slowing of iPhones is to protect the phone from random crashes due to the aging battery, but apologized for their lack of transparency around the issue. They’ve since massively discounted the price of their battery replacements, currently priced at $29 rather than the original $79. The release of iOS 11.3, however, will usher in a new feature that will allow users to turn off the iPhone throttling at their own risk. The update that will fix the slowing of iPhone is probably a bigger deal than updated parental controls, despite the need for increased security. If the majority of the iOS 12 features are to be delayed, it calls into question what exactly the point of an impending release would be. As a major release, the iOS 12 features need to offer something unique that is a large improvement over the current update. A patch with bug fixes and better parental controls will probably not be received nearly as well as iOS 11’s new features. If Apple is truly to delay the majority of iOS 12 features into 2019, it may be in their best interest to delay the launch of the full operating system until they have a little more to offer their consumers. As mentioned above, at this current point we haven’t received any sort of confirmation one way or the other from Apple. It remains to be seen whether we’ll see a fully-featured launch or a simple release with enhanced security and bug fixes. We’re certainly hoping for the former.